13) Would You Help Send Brigada into 2016? But you better act fast. This deal is only good through Nov. 30th. 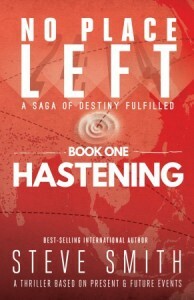 Hastening is the new book that builds on T4T by including Disciple-making movement practices, then presenting them in the form of a gripping novel. Based on hot initial pre-sales, our friends Steve Smith and Robby Butler ordered a bunch of extra cases so they can extend the deadline for those who missed the first round of 69% discount on cases of Hastening. Through November 30th, save 69% on cases (32 books)! It’s the hap-, happiest time of the year. And now you know why. Good News Productions International (GNPI) has just shared with you free Christmas reading plans in Russian, Hindi, and Spanish available on YouVersion, the world’s most popular Bible app. Videos from The Global Gospel are included in these discipleship plans. What would it look like at YOUR church or group? It just might be a great way to help you start 2016 off well. Join Raechel Myers and Amanda Bible Williams, the women behind “She Reads Truth,” in this 7-session Bible study. Using powerful storytelling, real-life examples, and Scripture itself, Open Your Bible will quench a thirst you might not even know you have-one that can only be satisfied by God’s Word. I’ve got a good friend named Eric who serves as the point person at a large church in the Midwest. He wrote this past week to explain that he’s looking for a source for statistics on missions giving. “I am looking for the % or number of US churches that give 15% or more to missions form their budgets. I feel like this has probably been compiled somewhere but I don’t know where to look.” It’s a fairly specific ask. But what if we at least directed him to sources for stats on missions giving in general. Got anything like that? If so, thanks in advance for pointing us there (in the comments below the web version of this item). Peter is used to seeing his mom pray in her special prayer room, and now you can help him search for his own place to pray-Peter’s perfect prayer place. Is it under his bed? Up in his treehouse? Between the pots and pans? Where can God hear him best? There’s lots of fun as Peter looks and looks, but in the end, he learns that although it’s great to have a special place to be alone with God and pray, God hears you no matter where you are-under, up, or in between! This companion book to the movie, “War Room,” will teach young readers an important lesson about talking to God. This would be a super Christmas gift for every missionary family on your church’s list. Can you believe it? 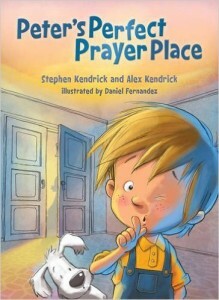 For less than $3, you get 14 books on prayer. 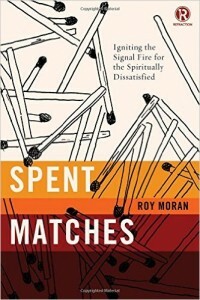 If you read Roy Moran’s book, “Spent Matches,” with an open mind, it will spark a fire in your soul for prayer, hybrids, and the difference between going and coming. Discover Innovative ideas for growing the church, methods to reach those who may never have attended church, and scripture passages that touch on the subject of church growth. Join Debbie Alsdorf and your friends online or in a coffee shop or church. Each November/December, we ask Brigada participants to chip in on the costs we incur to provide resources, motivation, information, and trends to Great Commission workers all over the world. We hold our requests to a reasonable amount. We’ve worked off of a budget of $17,120 annually for over a decade. This covers the costs associated with domains, email-sending services, light marketing costs, and a part-time assistant to help with compiling and publishing. Everything we do is associated with reaching unreached peoples. If your church, family, or business would consider chipping in, we’d be very grateful. Will we try to go on producing Brigada even if you don’t help? Probably so. Because we serve out of passion, not for financial gain. So one might ask, “Well then why should we chip in? Brigada will likely keep going anyway, in one way or another.” But isn’t a ministry of passion one that you’d RATHER help? So have at it: Throw gasoline on our fire. Back Brigada. Become a “true fan” by sending a $100 gift (or whatever you can afford) today. Brigada hits screens all around the world. To help, just mail a check payable to Team Expansion (Brigada), 13711 Willow Reed Drive, Louisville, KY 40299. Team Expansion is a 501(c)3 incorporation so, for USA citizens, your gift to Christ through Team Expansion is tax-deductible. 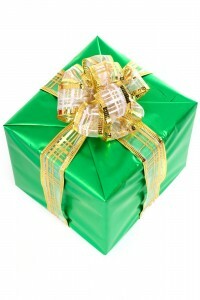 If you’d rather give online, just click “Donate” in the upper right corner at brigada.org . Written in the style of the Quran, this book is an enigma to me. Would you be willing to explain how it might be helpful? Has it been helpful to you? And could you also explain why it might NOT be helpful (if that’s the case)? Apparently, it has some Bible verses translated into Arabic in the formal poetic style that the Qur’an uses? Please — someone explain. Please just click “Comment” following the web version of this item. Let’s get to the bottom of this.